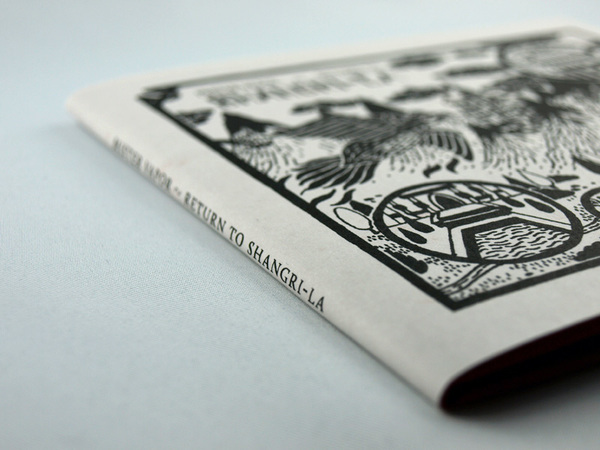 “Return to Shangri-La” is based on the undisclosed piece “Shangri-La” that was originally recorded in 2012 by the same artist, Mister Vapor (Thomas Park) who’s also better known as Mystified. 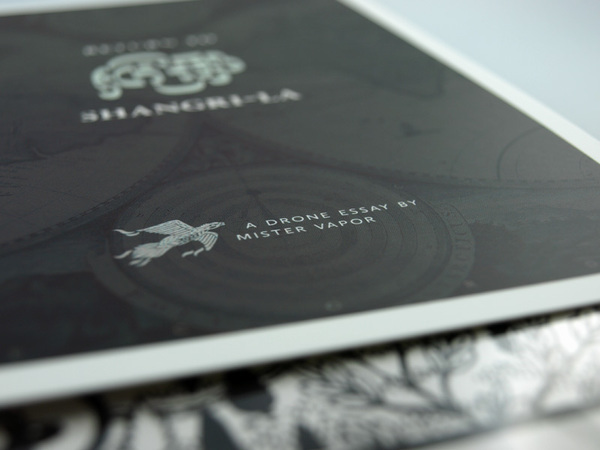 Both works share the same sound sources, though while the calmness of “Shangri-La” will partially come through, “Return to Shangri-La” (for which Mister Park chose the unusual term drone-essay) holds its ground as a different beast: this 52-minute long composition is the soundtrack to an incalculable, arduous attempt at returning to a save haven that was never meant to be forsaken. James Hilton’s famous novel from 1933 “Lost Horizon” – origin of the term “Shangri-La” – influenced the packaging in several ways. 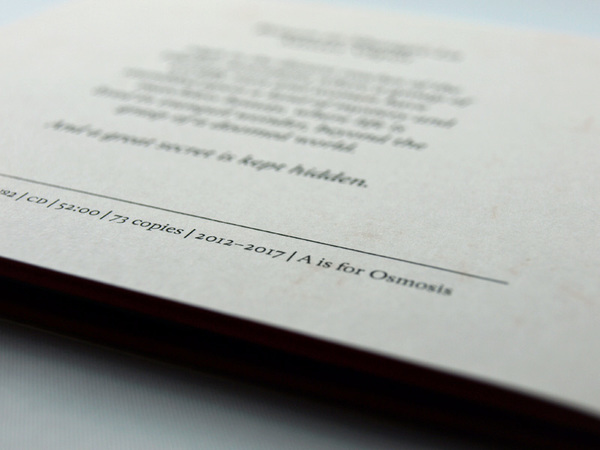 Each copy is also accompanied by a quote that was directly cut out from a paperback edition of the novel. 1st edition. 73 copies in total. 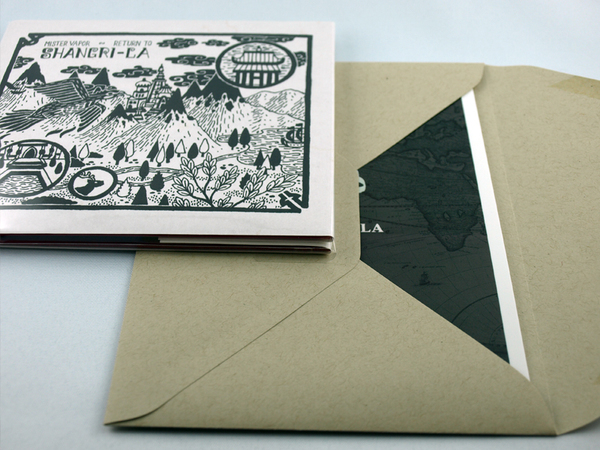 Hand-numbered. 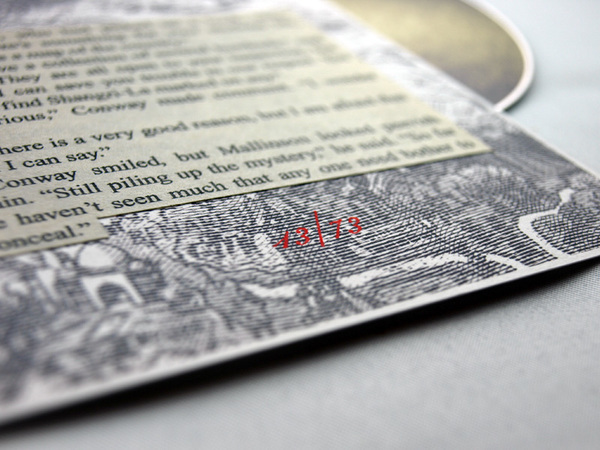 Glass-mastered audio CD. 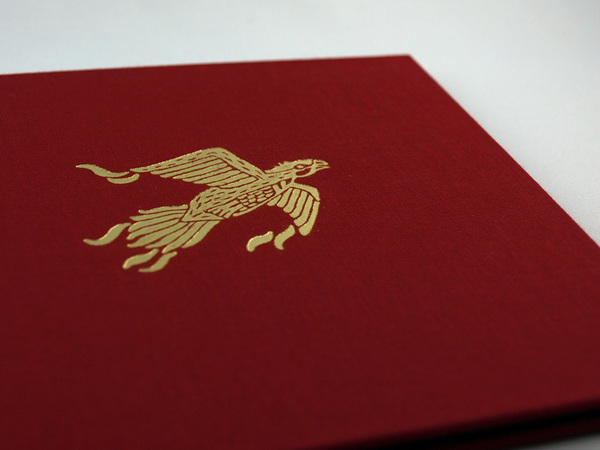 Sturdy clothbound folder (red), foil-stamped on front and back (golden). 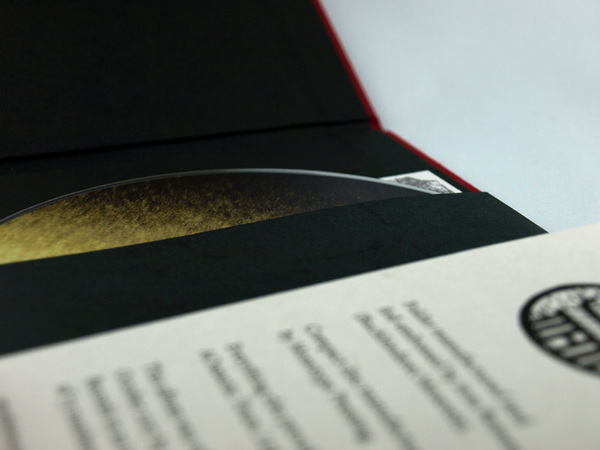 Disc is held by a pocket of black elephant skin paper, accompanied by an original cutout from the 1988 paperback edition of “Lost Horizon,” attached to a printed inlay made from 250gsm Hahnemühle cardboard. 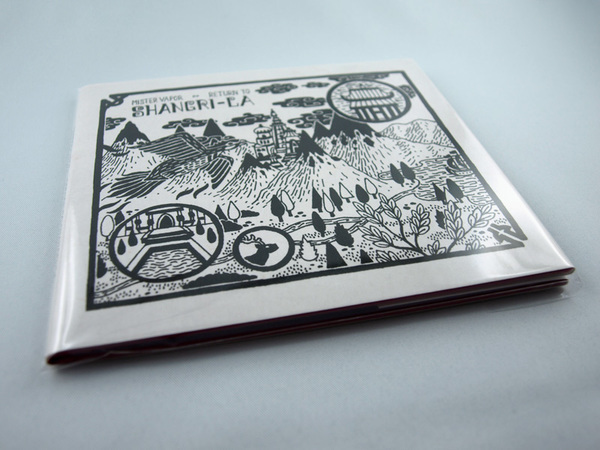 Enwrapped in a printed dust jacket made from ivory-colored elephant skin paper.